I have done a CAS take on this photo being inspired by the letters and the colouring in the photo. I have used the tech talk stamps from Cas-ual Fridays stamps. I made this for my Brother Stuart and figured if he couldn't work out the text my nephew could help him out! This month we are being sponsored by Eclectic Anthology and the monthly winner will receive a $30 gift voucher for their store. I will also enter this into the CAS challenge at Fashionable Stamping Challenges. Ha...I love this card for Stuart! The text talk is perfect and I love the way you've attached it with the twine. Great masculine card. Love the CAS design and the text talk image. Thanks for joining us at Seize the Birthday. Love the wood grain look on this CAS card Sandie! The tag is a nice touch....never thought to make my tags slender! Thanks for joining the girls and I at Seize the Birthday! Fun fun fun! 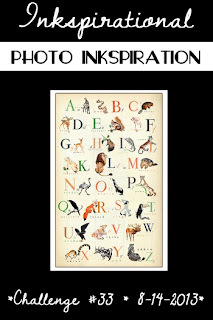 I just love inspiration photos: my main inspiration is also going to be the letters and the colors and something completely different will come out of it (my card is almost ready)! The wood grain looks great. You've made this sketch work with your own style - fab CAS style and a great male look! Hi Sandie. What a great masculine card! I love the modern take on it, and an awesome CAS card. Thanks for joining in the fun at Fashionable Stamping Challenges. What a fab masculine card Sandie & I love your CAS take on the inspiration photo! The woodgrain is a perfect touch! Great masculine card, perfect for our CAS challenge. Great masculine card...love the CAS design! Thanks so much for playing along with Seize the Birthday!